I should start by saying I’ve not seen the other Purge movies, having always found the premise profoundly stupid. Why would any government make all crime legal for one night a year, and why would everyone suddenly start killing each other? The worst I’d do is probably steal a cat. They could call it The Purrrge. 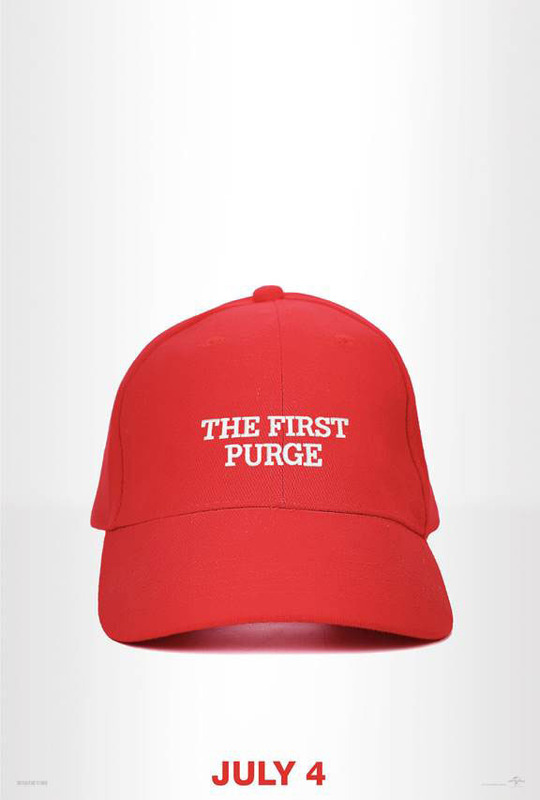 The First Purge (or as I call it, Tactical Chunder) is the 4th film in the series, and the first to sound a bit like a spoonerism of a Bob the Drag Queen catchphrase. It’s actually a prequel to The Purge 1, but they couldn’t call it The Purge 0 because of the car. 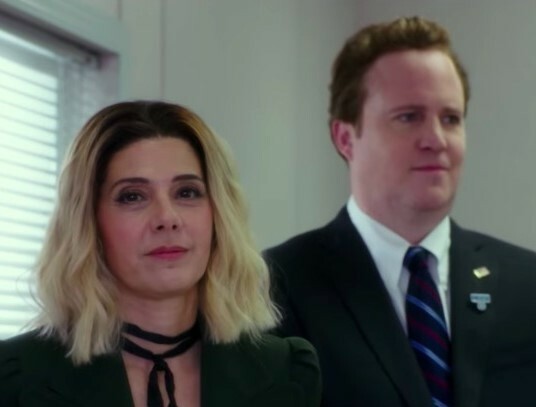 It starts the same way as Suicide Squad, in that an Oscar winner (in this case Marisa Tomei) comes up with the dumbest government programme imaginable. This is after all a multi-studio collaboration between Bumhouse and Michael Bay’s Platinum Dunes. Just to orient any non-horror (as in normal) people, that’s like the James Corden and Gary Barlow of the genre. 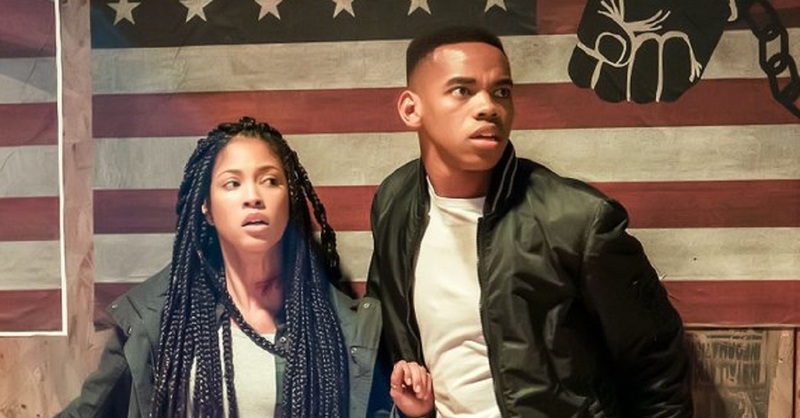 Seemingly trying to replicate the success of Get Out, Bumhouse takes on explicit racial themes, along with timely swipes at the NRA, white nationalists and Trump (or The First Perv, if you prefer). The poster sets out its stall clearly (left). But with none of Jordan Peele’s wit, the outcome is closer to Nerve; zeitgeisty ideas but dull execution, producing a film so painfully boring that they should have called it The Dirge. It’s astonishing quite how tedious a picture with such a hokey premise could be, or how a world based on such current events could be so wildly unconvincing. It’s so close and yet so far. This has much to do with James DeMonaco’s script, which has the academic inventor of the Purge (Tomei) express shock that people are having parties on Purge Night. We’re supposed to believe that the person who created the whole policy and thoroughly researched its effects would never have expected people to throw parties on the night where all behaviour is permitted? She later has a “what have I done?” moment (she literally says that) upon realising that maybe this wasn’t such a good idea after all. I knew Piers Morgan would be involved somehow. Apparently the reason the programme (let’s call it Twattle Royale) was a mistake is because the government can hijack it for their nefarious ends. No mention of all the other reasons why making crime legal for one night is a policy so stupid that even Theresa May might not steal it from UKIP. Maybe those other aspects are covered in the previous movies, but considering this one features the line, “You can’t purge me man, I purge you,” I wouldn’t bet my Tiki torch on it. The First Purge has all the usual hallmarks of Jason Blum’s productions: lame jump scares, rubbish characters and nothing making sense. Not even Steve Harris (Jess’ dad from Friday Night Lights) or Kendrick Lamar’s Alright are enough to overcome such a fundamentally flawed premise. I was going to make a joke about how you should stay home during The Purge, but since a TV series is on the way, even that won’t save you.